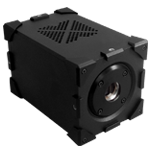 The new QI400BSI OEM camera features the first scientific-grade backside illuminated (BSI) CMOS sensor providing the highest quantum efficiency (QE) available today. 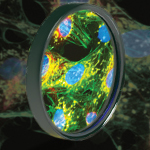 For biomedical instrumentation, the extreme QE attained from BSI technology delivers new depths of sensitivity to any imaging or detection application. Contact Photometrics and QImaging for your OEM imaging solutions. BOW Featured Products invites you to forward this newsletter to colleagues or associates who might be interested in our regular news summaries Forward to a Friend. If you do not subscribe to BOW Featured Products newsletters, please click here.